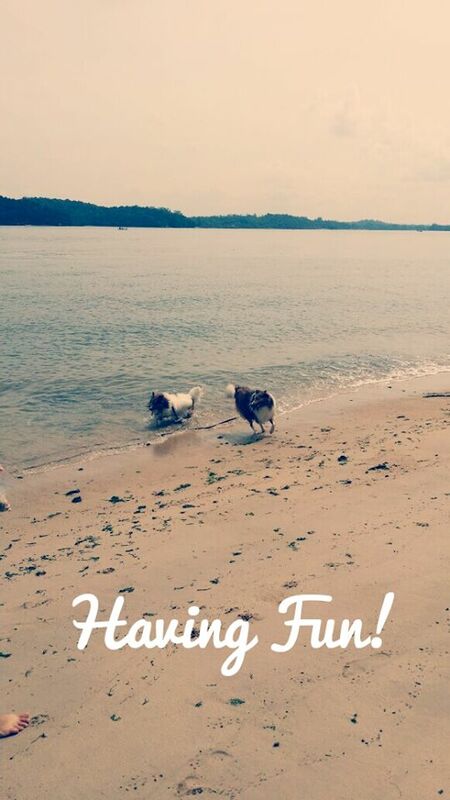 We had long time never been to beach to do our favourite thingy; swimming and chasing. According to our friend’s Mommy, this period is monsoon season (aka raining season) and is quite dangerous to do any activities near seaside. But we do not need to worry about it. Uncle Joe from Pet Cruise will sort these out by checking the weather, wind observations, temperature, cloud and atmospheric moisture. Fortunately, we were able to go on 30 Nov 14. Neither it was hot nor cold during that day. Sound great. Wasn’t it..
We have never stopped playing and chasing before. Our legs always move. After a long run, we got to eat our favourite dehydrated chicken fillet. AWESOME.. 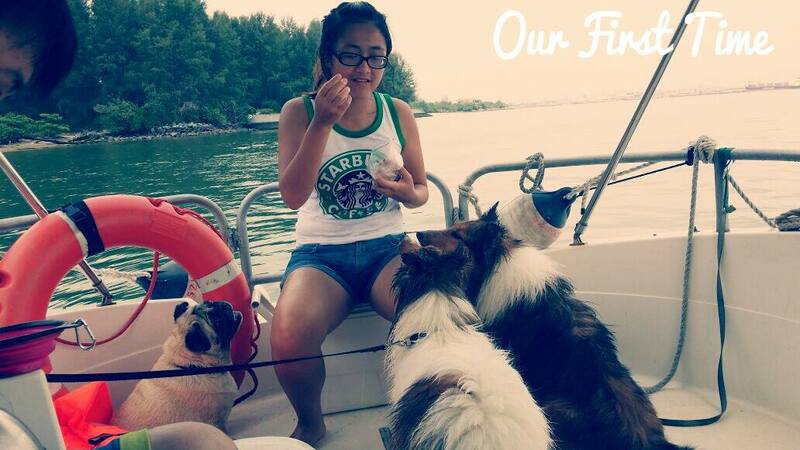 If you had noticed, we were always on leash once we stepped into the boat. This was to prevent us jumping off from boat into the sea as we were too enthusiastic in swimming (this was especially referred to little Myers). Other than beach chasing, what else can we do? 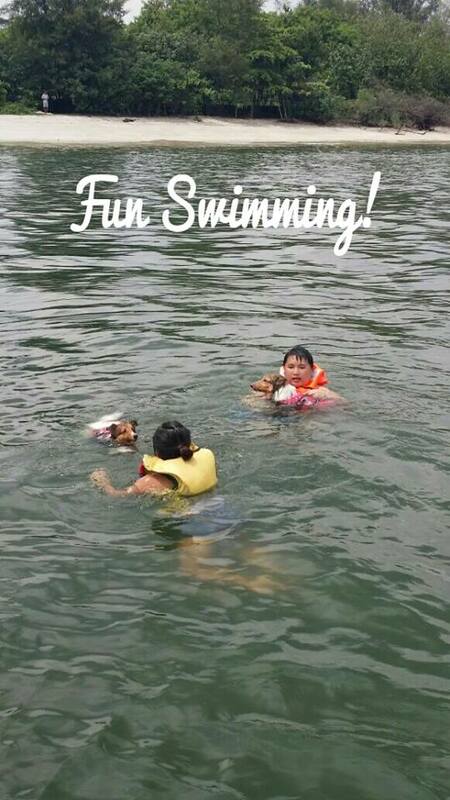 This was our first time and also Mom’s first time jumping off from boat to swim with us. It was 5m high. FYI, Mom’s height is only 1.58m high. THAT’S CONSIDERED A HUGH DIFFERENCE FOR A BEGINNER. No choice. She got to learn. By the way, she loved it so much that they wanted to go snorkelling one day without us. SOB SOB!! What a short trip! 3 hrs only… We definitely will come back again. 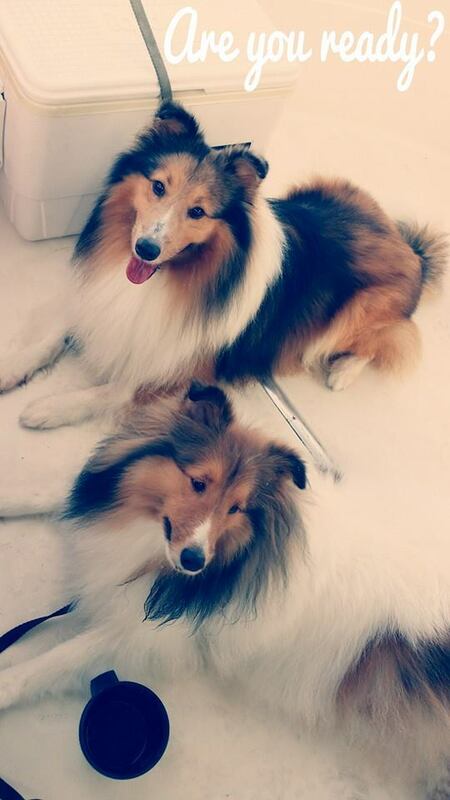 You may check out their services and photos at https://www.facebook.com/petcruise88. If interested. you may contact Joe at 9637 5009 or email him at petcruise88@gmail.com. Do enjoy and experience it! 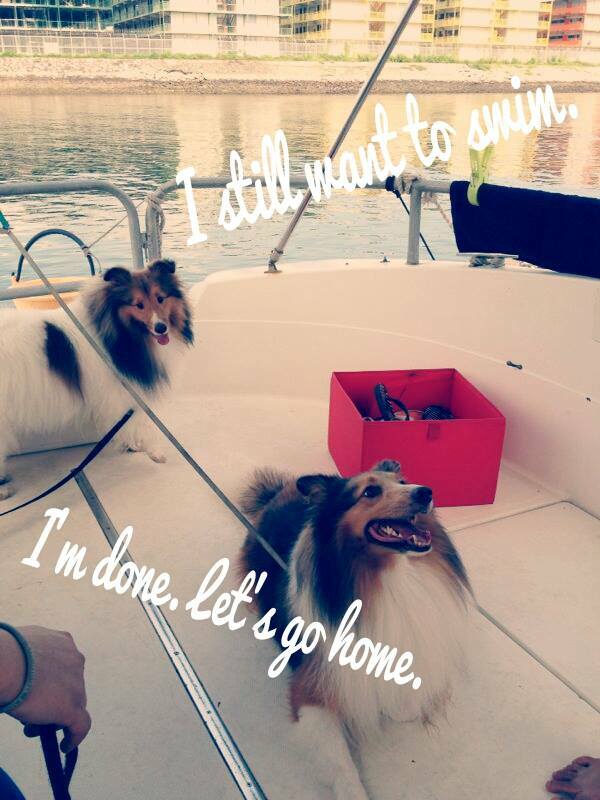 This entry was posted in Recreation and tagged pet cruise, Sheltie, Shelties, Shetland Sh, Shetland Sheepdog. Bookmark the permalink.